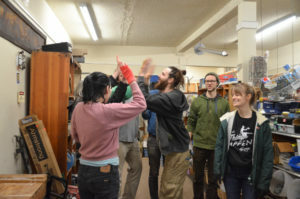 “One of the most underutilized staff ‘perks’ that we offer at the Community Food Co-op is that if you go and volunteer for an organization twice on your own for an hour minimum, the Co-Op will donate $50 each time to that organization” says Phil Gaul, HR Admin Assistant, of Bellingham’s Community Food Co-op. “It really shows how strongly we care about the Co-op Principles.” Gaul is referring to the seven principles that Co-op’s around the world follow. While adoption of the seven principles isn’t required, most co-ops choose to adopt them for their business. The Bellingham Co-op has taken it one step further with definitions for each of the principles. The seventh principle, concern for the community, encourages donations, shared information, and sponsorship of community events. This principle drives their believe that volunteerism strengthens and unites the community. 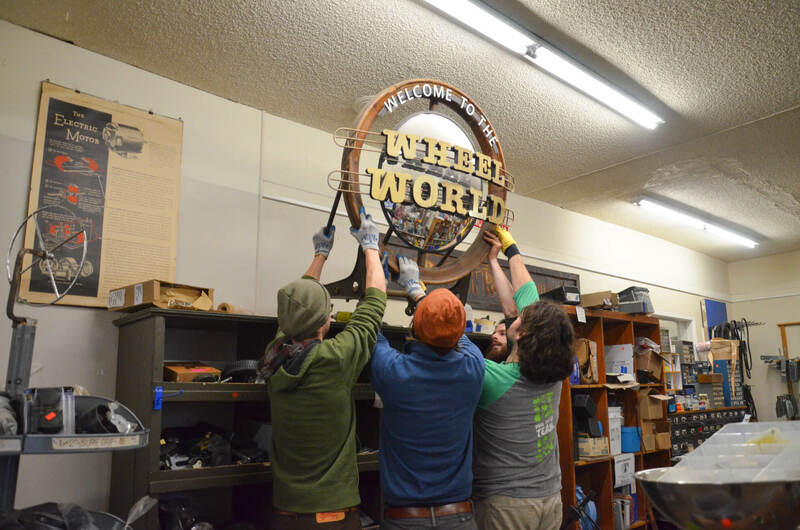 “One of our core values is to be really involved in the community. Our triple bottom line is people, planet, and profit last,” says Gaul. Gaul is in charge of organizing quarterly group volunteer days for staff. Any interested staffer can attend as long as they aren’t scheduled to work during the volunteer shift. As incentive, staff are offered a $10 voucher towards Co-op clothing and a free lunch. “When I started we held volunteer days on the weekends, but I was encouraged to try different days. We now have a steady crowd that volunteers every quarter,” says Gaul. 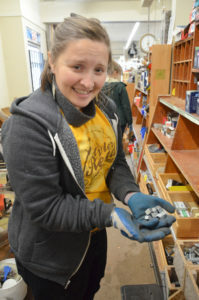 Volunteerism is just as important for The RE Store as it is for the Community Food Co-op. 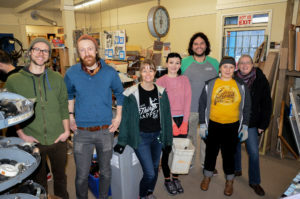 Spending a day with our staff and other volunteers is an excellent way to support our mission, give back to the community, and gain practical experience in the reuse industry. By volunteering with The RE Store, your passion and skills are put to good use building a strong and supportive community. Take a leadership role, use your communication skills, organize merchandise, educate your neighbors, or provide administrative support. We place volunteers depending on their interests. What are you interested in? To learn about individual and group volunteer opportunities, visit our volunteer page or email our Volunteer Manager at andye@re-store.org.